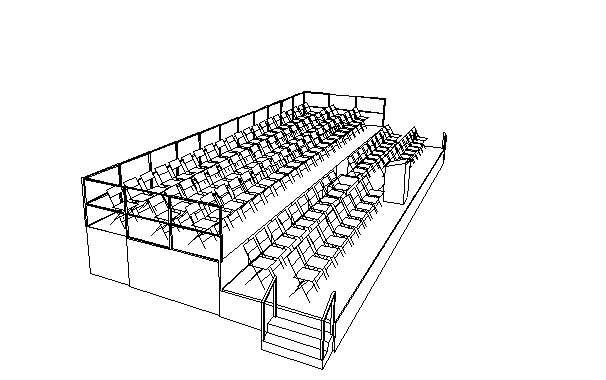 The most efficient and economical way to seat or stand large groups of people is by using platform sections built in rows. Each modular section is 4\' x 4\'. The diagram shows how chairs can be installed . Sections can be combined in multiple levels and heights. Options include: stairs, rails, bunting, handicap ramps and carpeting.